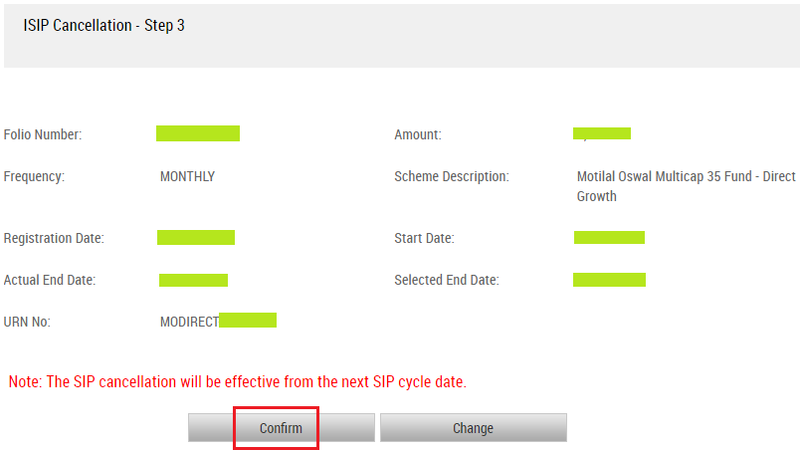 How To Online Stop or Cancel SIP In Motilal Oswal Mutual Fund? Finance Guru Speaks: This article will provide information on how you can stop or cancel your SIP online in Motilal Oswal Mutual Fund. As an example, we have taken Motilal Oswal Multicap 35 Fund to stop its SIP online. 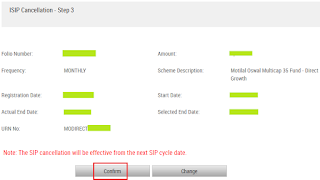 However, you may select any other Mutual fund scheme, steps will remain the same. SIPs which were registered online can be cancelled using below steps. Make sure to update your Email and Mobile correctly against your Folio No. 1. Open Motilal Oswal Mutual Fund home page after clicking here and click on MF EXISTING INVESTOR section. 2. Provide your PAN No. 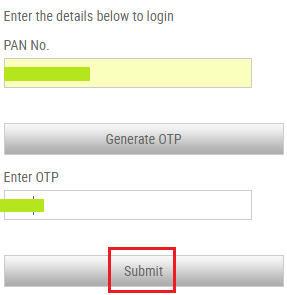 and click on GENERATE OTP button.